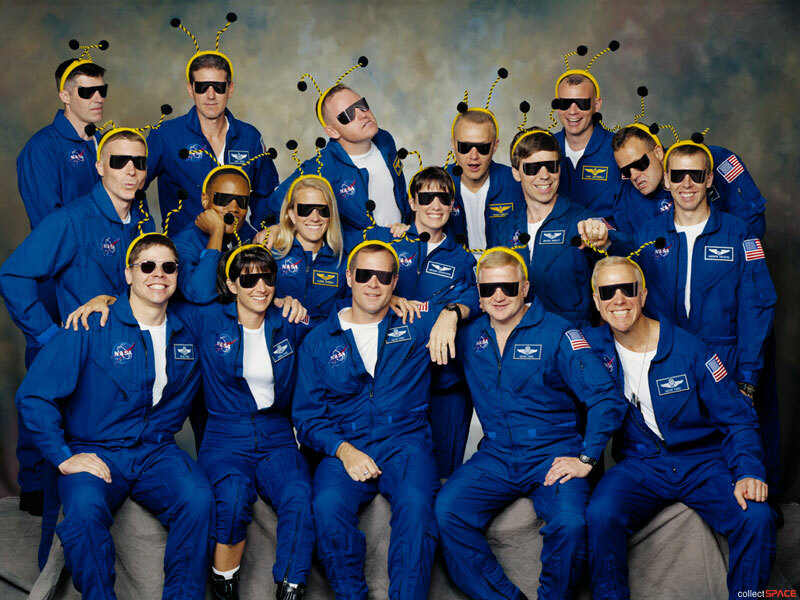 NASA's new crop of astronauts has been affectionately nicknamed the "Chumps" by the previous 2004 astronaut class. This continues a long-standing tradition whereby the previous class of astronauts nicknames the new astronaut candidates, collectSPACE reports. 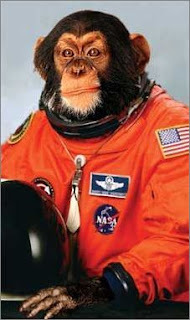 The 9 astronaut candidates (14 counting the Japanese and Canadians) tried to influence the selection by campaigning for their preferred moniker, the "Chimps." 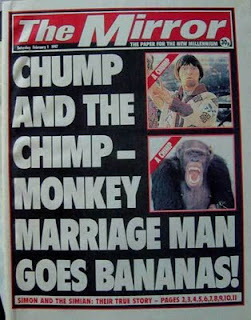 In the end, the 2004 astronauts christened the 2009 group as the "Chumps" instead due to its close spelling to chimp. 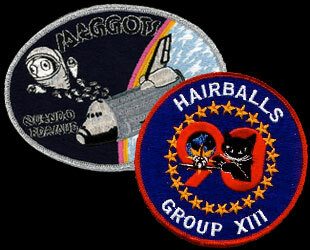 Since 1990, the astronaut corps have adopted a custom of choosing uncomplimentary nicknames, beginning with the "Hairballs", but dating back to the 1984 "Maggots", which was said to be inspired by the Marines' boot camp term for new trainees. Earlier nicknames, dating back to 1959, were commonly in reference to the class size. The "New Nine" followed the "Original Seven". Later came the the "Original 19" and the "XS 11" (Excess Eleven). The first group of ascans chosen in 1978 to fly the space shuttle were known simply as the "TFNG" -- "Thirty-Five New Guys". Group 20 (2009) "The Chumps"
Group 19 (2004) "The Peacocks"
Group 17 (1998) "The Penguins"
Group 16 (1996) "The Sardines"
Group 15 (1994) "The Flying Escargot"
Group 14 (1992) "The Hogs"
Group 13 (1990) "The Hairballs"
Group 12 (1987) "The GAFFers"
Group 10 (1984) "The Maggots"
Chump Mark Vande Hei said he and his fellow 2009 ASCANs posed for an unofficial group photo with bananas and that their mascot is "Chump the Chimp." If that photo ever surfaces, I'll share it here. Except that all astronauts are "The Geeks". How about "the few, the proud.. the totally insane!!"